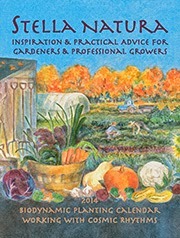 Many organic farmers have passed through a stage where they buy, and maybe even pay attention to, the Stella Natura Calendar. This calendar purports to tell you, based on astrological signs, which days are best for planting root crops or leafy greens or whatever. I bought the calendar several times in my early farming career, but never paid any attention to it, so I can’t even say if this is true, but supposedly there are days on that calendar that are “black.” On those days, you are supposed to stay inside and compose poetry or something, and not attempt to get anything done, because it would be fruitless. I don’t know if black days are really on the calendar, but I do know that days like that exist. Yesterday was one of those days. There are several things that went wrong yesterday, but I’m going to tell you about just one of them. We really need to get the big “Barkowski” field plowed–it’s where all of those cabbage plants and the next carrot planting and the winter squash and Brussels sprouts all go. We sent Caro out plowing on Tuesday, thinking to get it done before the rain came. The problem with the Barkowski field is that it has an extra share of rocks. Caro hit a rock the size of one of our brood sows, and the plow tripped, which is what it is supposed to do–basically the whole plow swings back to avoid breaking, and the mechanism is supposed to just pop back into place when you back up. This it did, but after plowing forward about 50 feet, it kept tripping, and just wouldn’t stay popped back into place. Caro got Dave to look at it. They shined a flashlight up into the mechanism, and decided that there was a spring missing. The decision was made that the plow needed to get taken apart to get the spring out of one of the good shares (as in plowshares), so that we can take that spring to the store and say “we need a spring like this one.” Then we needed to take the bad share apart, so that we could put that new spring in. So yesterday morning, Dave wasn’t around, and I decided I’d better fix the plow. You have to understand that I grew up a nerdy kid who read science fiction, not the kid who rebuilt cars and motorcycles for fun. My task involved getting off two nuts that take a 1-1/2 inch wrench (that’s a really big one, for you other nerdy kids), and to top it off, they are “castle nuts” which have a pin through them that keeps them from turning. I had to get the pin out first, from this apparatus that has been put together for all 50-odd years of the plow’s life, and has been dragged through the dirt repeatedly over those 50 years. I struggled with it for a while, and eventually decided it was time for oxy-acetylene. Somehow, I managed to summon the pyrotechnic finesse to apply just enough heat so that the pin was melted out, and the nut was heated just enough to break the rust which held it together.I got the nut off. Buoyed by my success with the intimidating oxy-acetylene torch, I turned to the next castle nut. On this one I melted the nut a little in the course of melting off the pin, so I decided that maybe I should just cut the nut off. Bad went to worse as I cut right through the nut and the pin and ended up with a mass of metal all kind of misshapen and welded together. I finally threw up my hands in frustration, and just went home, defeated. The real kicker came today, when I went to look at the plow with Dave to see if we could salvage anything of the disaster. I realized that I could see what was going on much more easily if I flipped the plow over (not an easy task with a 1,000-pound implement). Come to find out, the place where the spring is on the bad plowshare was just packed full of dirt. After scraping out the dirt, and finding several decent-sized pebbles in there as well, I found that the spring had been there all along, just not operating correctly because it was all full of dirt! This means that the nut I destroyed never had to come off (which is great, because it doesn’t even vaguely resemble a nut anymore). Too bad I didn’t get one of those calendars! I could have stayed home yesterday and maybe gotten some good poetry written, and been ahead of the game. The plow is ready to roll again, just as soon as it stops raining. Fortunately, black days don’t tend to stack up in rows. Today, we planted cabbage, fennel and chard, and harvested some great-looking produce for the spring share.